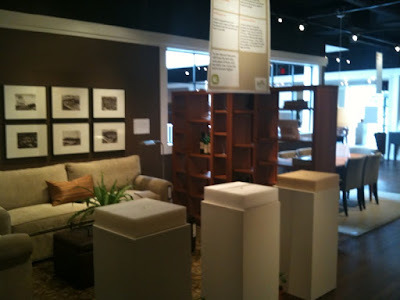 Urban LifeStyle Decor: "A BiOH Event: Celebrating Sustainable Soy Style"
"A BiOH Event: Celebrating Sustainable Soy Style"
Room & Board: a modern furnishings retailer in Edina, Minnesota, hosted the BiOH event which takes consumers on a journey of sustainable education and demonstrates how soybeans can actually reduce the consumption of petroleum and how even the smallest sustainable choice can add up to a larger environmental impact. 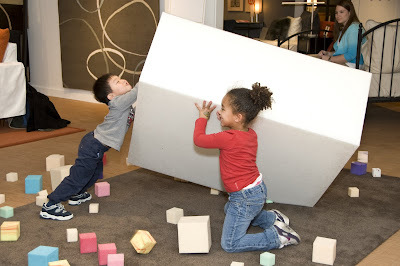 "Foam cushioning made with BiOH polyols is comparable to existing foam used by the home furnishings and automotive industries while leaving a smaller environmental footprint. Products that incorporate BiOH polyols offer a responsible choice for consumers and businesses that are increasingly interested in sustainability." 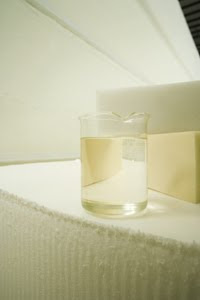 Through years of BiOH polyols research, Cargill has developed a more environmentally friendly ingredient (polyols) extracted from pure soybeans, which replaces a portion of the standard petroleum-based materials used in foam by today's furniture manufacturers. Sustainability isn't just about living a green lifestyle, it's really about choice and now when you choose to purchase a product made with BiOH polyols, you have that choice. 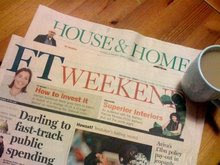 "With the trend in eco-friendly products gathering steam, leading manufacturers and retailers are looking for solutions. Cargill's BiOH polyols offer a more responsible choice when it comes to raw materials." From SoyBean to Sofa + From Ultra Modern to Urban Organic: the beauty of a greener choice fits in with any lifestyle of decor. All photos above from Room & Board: visit their website + locations for modern furniture + wares and to learn more about their sustainable practices. 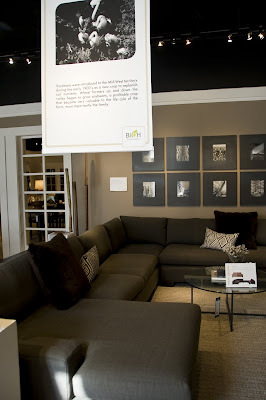 Currently, Room & Board uses soy-based foam in all of their upholstery collections. First, consumers need to understand what classifies a product as green or sustainable in order to make an informed choice. Next, you can vote for a more sustainable option by asking retailers in the home furnishings industry, "In your upholstery selections, do you offer BiOH polyols soy foam vs. standard 100% petroleum based cushion cores?" 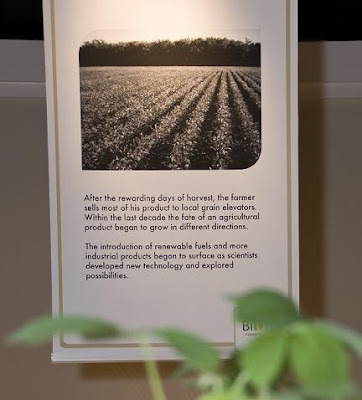 The multi-layered "Experience Soy Style: Be in the KnOH!” event encourages engagement within four different areas of exhibits: Soybean Growth on Farms, How Foam is Manufactured, Furniture Craftsmanship History, and Sustainability. BiOH not only supports sustainable practices, they Give back! 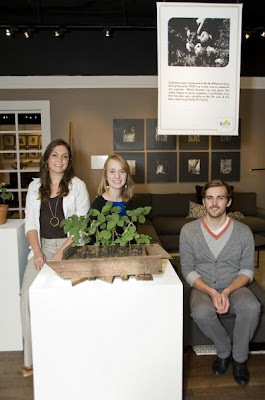 Shown above, three students from the Minneapolis College of Art & Design (MCAD): Nick Kriegler, Stephanie Polus, and Ruth Sauvageau designed the exhibits for the event which not only told the BiOH Story, but also represented the Room & Board brand of modern living. Big bonus, they received $5000 cash prize from BiOH. It feels Good to Be Green! Yes, a modern-recycled-art-sculpture shown in a whole new light. The "Milk Jug Exhibit" highlights not only the Recycle + Reuse mantra, it represents a visual display of the petroleum that can be saved when consumers choose furniture made in part with BiOH polyols. Specifically, the milk gallons shown = the amount of petroleum saved with the purchase of about 700 sofas using Foam, made in part with BiOH polyols instead of completely petroleum-based foam. Foam Demonstration: Guests were able to test foam properties by conducting a “ball rebound” test on three different types of foam. "The hard work and dedication of many generations of family farms is where the story of these new discoveries begins." 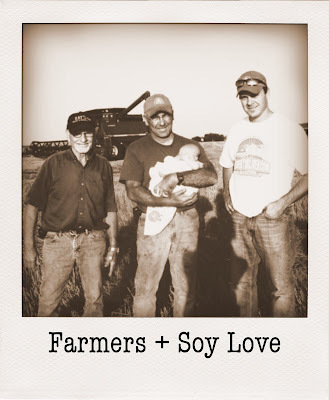 Life on the Farm and the mulit-generational journey of these soybean farmers play an important role in the "BiOH Soy Story: From Soybean to Sofa." 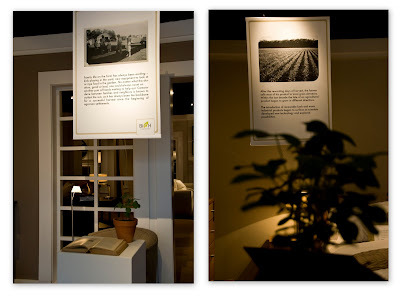 Within the exhibit, banners hung from the rafters outlying the history of soy farms and videos splashed vintage images across the walls. The "20% Sofa" represents how 20% of the furniture foam can be made with soy-based materials rather than petroleum. Every step we take toward choosing a more sustainable option can make a difference in the road to green. Yes, 20% adds up, and it adds up quick. "Write the one thing you want to knOH about Sustainability." 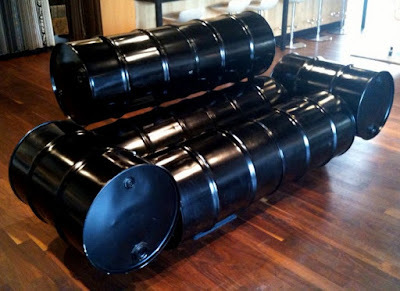 Guests were encourage to express their "green" questions to the BiOH team by painting on the famous "Barrel Sofa" crafted out of oil barrels. "Soy foam is not any more biodegradable than traditional foam," says BiOH Polyols Marketing Manager Jessica Koster, "but for every 1 million pounds of soy-based polyols used to make foam, over 92,000 gallons of petroleum are saved." Sustainable furniture manufacturers and Design + Build companies are leading the way in innovative green decor. Everyday, new designs emerge with FSC certified woods, alternative soy foams and 100% pure organic fabrics. With new technologies and sustainable resources, such as BiOH polyols, the home fashion trends are becoming greener as more furniture manufacturers, raw material sourcing and designers are moving in the sustainable direction. It's only going to get greener! Young ones ~ Going Green! The BiOH Event also hosted numerous activities with soy foam blocks, eco-friendly stickers and temporary tattoos. To learn more about BiOH Sustainable Events, please visit ~ The BiOH Experience: Ways to make a positive impact in your world at www.experiencebioh.com. 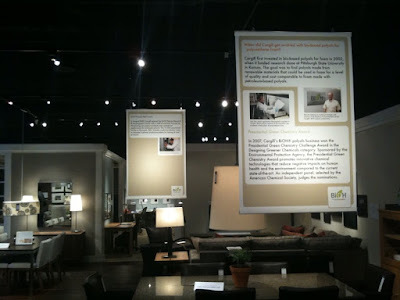 Additionally, the marketing department at BiOH will help you create your own personalized in store "Soy Style" event and you can increase awareness of sustainable furnishings, BiOH polyols, and offer your customers a "greener" choice. "While living in a world of consumerism, it’s impossible to live a true green life, but each step we take toward sustainability makes a difference. It's about balance." ~ S.R. Super Post!! Lots of good ideas and inspiring direction. 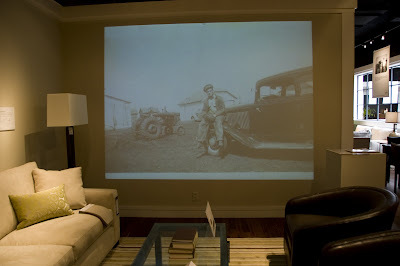 Also, i love that 55gallon drum sofa! 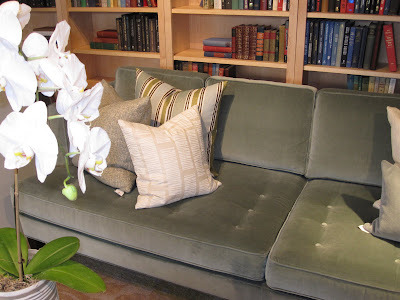 Unfortunately using soy in sofas does very little to increase sustainability. 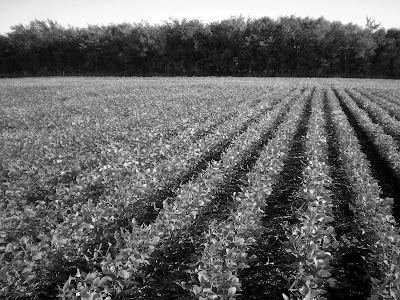 The production of soy is completely unsustainable, relying on our limited supply of fossil fuels, synthetic fertilizers, and a harmful irrigation system - which sustainable family farms have no ability to compete with. Increasing our reliance on Cargill's factory farming in one other aspect of our lives will only end poorly when we no longer have cheap enough petroleum to farm in that way and have injured the land in such a way that we could not farm sustainably if we wanted to. It's very much the same as using corn ethanol as "biofuel" and believing it has a lower impact on the environment - when it uses just as much fossil fuels to create as is made, the net energy produced is zero, the environment is impacted negatively, and the corporations still make money. I'm sorry to be such a downer on the issue but I've done quite a bit of research on Cargill and I know a lot about how they turn the best of intentions of the consumer into revenue for their company. I truly wish that BiOH was as good of a program as it appears to be. 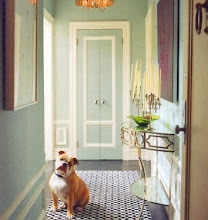 Oh and just as a side note, since I've never commented before - I LOVE your blog! You post the best things and I'm sorry for not having ever commented before (with something much less annoying, and more positive). Cargill just hits a nerve with me every time though, haha. 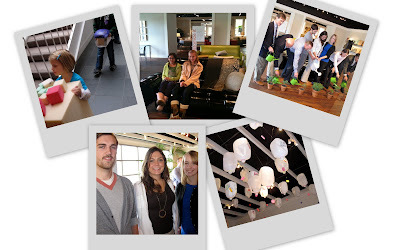 Thank you Sue for such a great recap of the Experience Soy Style event last month! I am the Marketing Manager for BiOH Polyols, and I did want to respond to the comment above re: sustainability. BiOH polyols from Cargill have been shown to be more sustainable than the petroleum-based products they replace based in scientific life cycle analysis that compares all of the energy, fuel, transport in soybean farming, processing and polyol manufacturing to the petroleum supply chain that our products replace. This life cycle data was generated by reputable third party sources to show that BiOH polyols require 61% less energy to produce and emit 36% less global warming emissions than the petroleum-based materials they replace. You can see the summary of results on that study from Five Winds International here: http://bit.ly/13SdWC. We are in the process of finalizing an updated study that will be available early in 2010 with similar results. While we don't claim that BiOH polyols are a perfect, "green" choice, we do believe that products made with them represent a better choice than standard all petroleum foam products and can have a significant, positive impact in the home furnishings industry. These products are just the first on a journey towards more sustainable innovation. If you have other specific concerns or questions on BiOH polyols that I can address, please don't hesitate to contact me through our customer service email bioh@cargill.com. Thank you! what a lovely blog . it was adorable to have discovered this one . Great post. And slowly slowly the design world is taking responsibility. I remember doing a story a couple of years ago and really struggled in finding stylish alternatives. BUt not anymore. 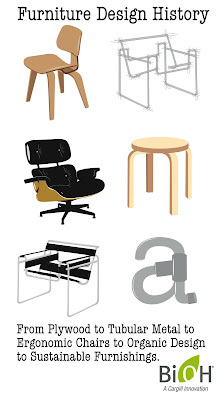 I´ve visited your website http://www.urbanlifestyledecor.com/ and I was wondering if it would be possible to get a link to my partner's website on it? DESCRIPTION: Check the authenticity of bank notes with the Money Pen. Please don't forget to send me the title of your website after you place my link so I can do the same in less than 24 hours, otherwise you can delete my link from your site. Wow, awesome photographs. I always love finding fellow bloggers who are writing about their passions! Always learn something utterly new. 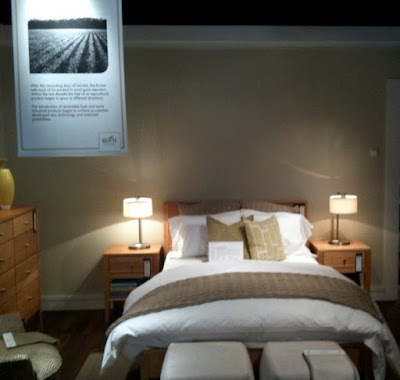 Thanks for raising consciousness about sustainable furniture. I write a seduction and spirituality blog, http://www.awakeningfromthedream.blogspot.com, and invite you to come take a walk on the wild side over there sometime :) Be great for any of your single friends too or people who want to erase their limiting beliefs. Cargill is responsible for spilling toxic chemicals into the San Francisco Bay, releasing hazardous compounds into the air, and clearing South American rainforests to expand its production of GM soy and palm oil. Cargill is also linked to questionable food technologies such as irradiation, genetically modified foods, and the use of carbon monoxide to artificially enhance the color of meat long past its expiration date. Their BiHO foam is made 85% of petrochemicals and 15% genetically modified soy. We're promoting technology from a company that's responsible for environmental havoc around the world.